Nestled in the rolling ridges of Chapel Hill, Legacy at Jordan Lake offers residents all the benefits and amenities of city living while providing scenic views, countless outdoor activities and a peaceful rural setting. With designs specifically tailored to Legacy’s lifestyle, Legacy’s distinguished home builders – Meritage Homes, Ryan Homes and Integrity Homes – are now offering homes ranging in size from 2,000 to 4,800 square feet with three to six bedrooms, two and a half to four and a half bathrooms, with prices that start in the mid-$300,000’s. Because of the home builders’ emphasis on quality and timeless design, homes will retain their curb appeal for years to come. Using unique building practices, Meritage Homes was the first national builder to make every home built 100% ENERGY STAR™-certified. Focused on building quality, long-lasting and energy-efficient homes, Meritage Homes lets you rest easy in the knowledge that your home has as little impact on the environment as possible. Offering multiple beautifully designed, two-story homes, Meritage Homes offers many features and options for customization that homebuyers at any stage will appreciate. Ryan Homes is offering their award-winning, two-story homes at Legacy at Jordan Lake with many homesites backed by lush, wooded areas or the expertly manicured golf course. Homebuyers have the option to expand their home with a bonus room, morning room or first-floor guest suite. Every home includes a three-car garage, offering plenty of extra space for fun, games or storage. Integrity Homes’ designs were specifically created for the lifestyle at Legacy at Jordan Lake. Offering both one- and two-story homes, Integrity Homes also provides an abundance of customization options. From an additional bedroom to extra windows, box ceilings or another fireplace, Integrity Homes’ flexible floorplans help you design a home that is tailored just for you and your family. 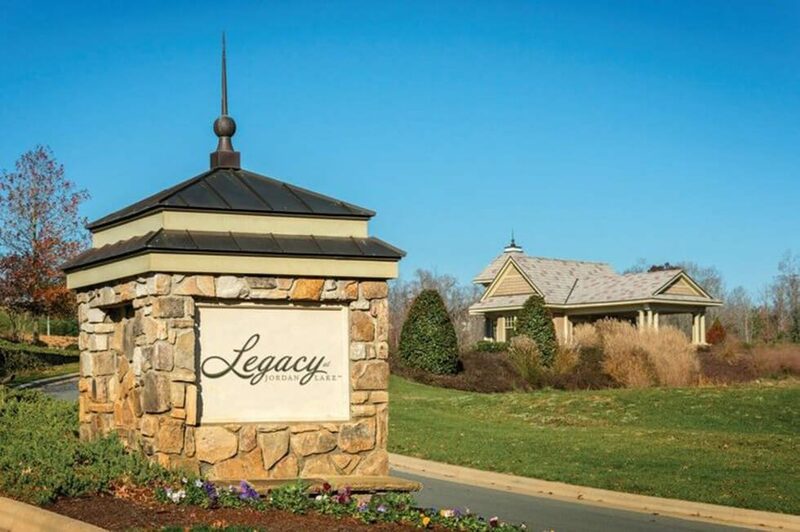 Interested in learning more about the homes and lifestyle at Legacy at Jordan Lake? Join our Founders Club to stay up-to-date on news about this community.